DUBAI, UAE: PRNewswire: Seclore Technologies FZ LLC, the leading provider of Enterprise Digital Rights Management (EDRM) solutions, has announced the expansion of the role of Regional Channel Director to enhance its Go-to-Market Strategy. Seclore is expanding its GCC presence and regional operations in response to increased demand for its award-winning solutions. 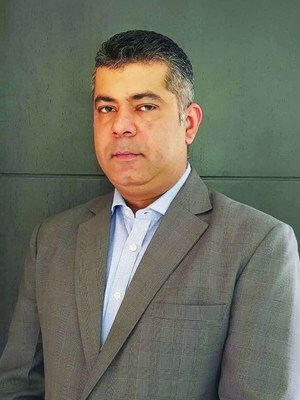 The role of Rohit Oberoi as Regional Channel Director for India and the Middle East has now been expanded to include the key Saudi Arabia and Africa territories, with the aim of developing the company’s markets with the support of a new team based at Seclore’s regional office in Dubai. Rohit was previously Director of Channel Sales in India and Rest of Middle East for Seclore. Seclore’s Enterprise Digital Rights Management solution enables organizations to control the usage of files wherever they go, both within and outside of organizations’ boundaries. Featuring dozens of pre-built connectors for leading enterprise applications (EFSS, DLP, ECM, ERP, and email), Seclore automates the protection of documents as they are downloaded, discovered, and shared to accelerate adoption. Seclore was recently recognized by Frost & Sullivan with a Growth Excellence award, by Deloitte as one of the ’50 Fastest Growing Technology Companies,’ and by Gartner as a ‘Cool Vendor’, due to innovations in browser-based access to protected documents. Every day, over 6 million users across 1000+ companies in 29 countries are using Seclore to achieve their data security, governance, and compliance objectives.